Dreamspider is available for new album promotions. You’ve done all the work to create the album; now let us spread the word about it to get albums reviews, interview and airplay across the nation. One of the key components to effective publicity is personal outreach to the media. It is connecting with people in a positive way that leads to a memorable experience so that a relationship is formed. Dreamspider is available to discuss and set up marketing tools and techniques as well as to look over any documents, forms, images and plans necessary for one to do one’s own publicity. 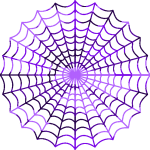 Dreamspider can also help bands create, build, and facilitate social networks. Dreamspider helps with setup, layout, outreach & upkeep of your social networks, and will also provide mentorship on how to make effective use of your social media tools. All great performers, businesses, and events need great promo items. Dreamspider can coordinate with filmmakers, graphic designers, website developers, printers, and merchandisers to ensure quality promotional materials at an affordable rate. Let us know if you need help in artist acquisition, stage management, administration, site operations, art vending coordination, food vending coordination, sponsorships, publicity, staff recruitment, volunteer coordination, and event greening.